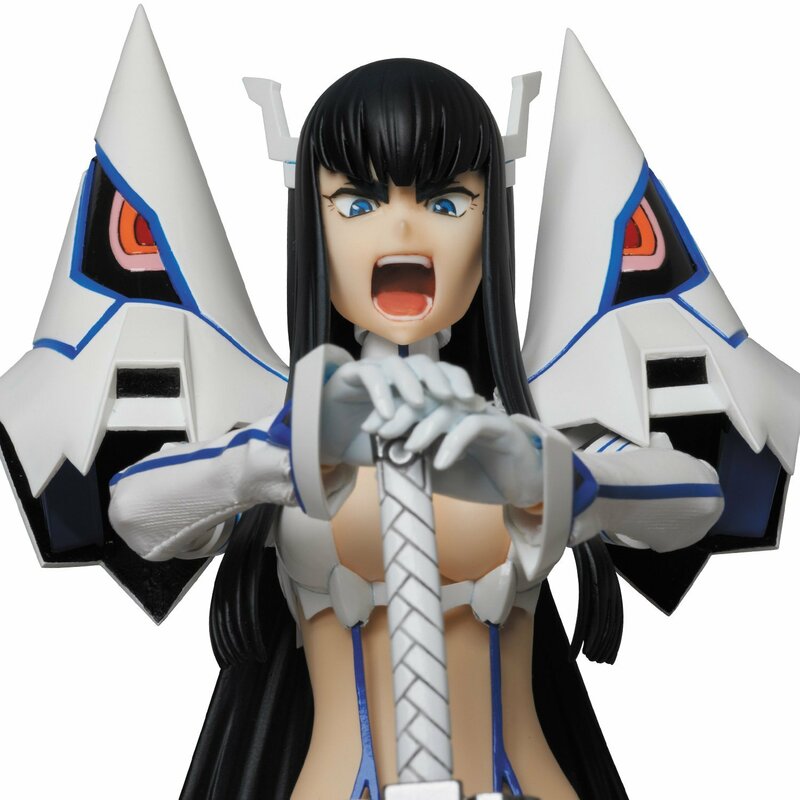 The despotic leader of the student council Satsuki Kiryuin gets a special RAH figure from Medicom Toy. The Perfect-Studio sculpted figure was released in My 2015. The clothing of this 27 cm ( around 10.5 inches) tall figure was produced by Akimoto Mieko. 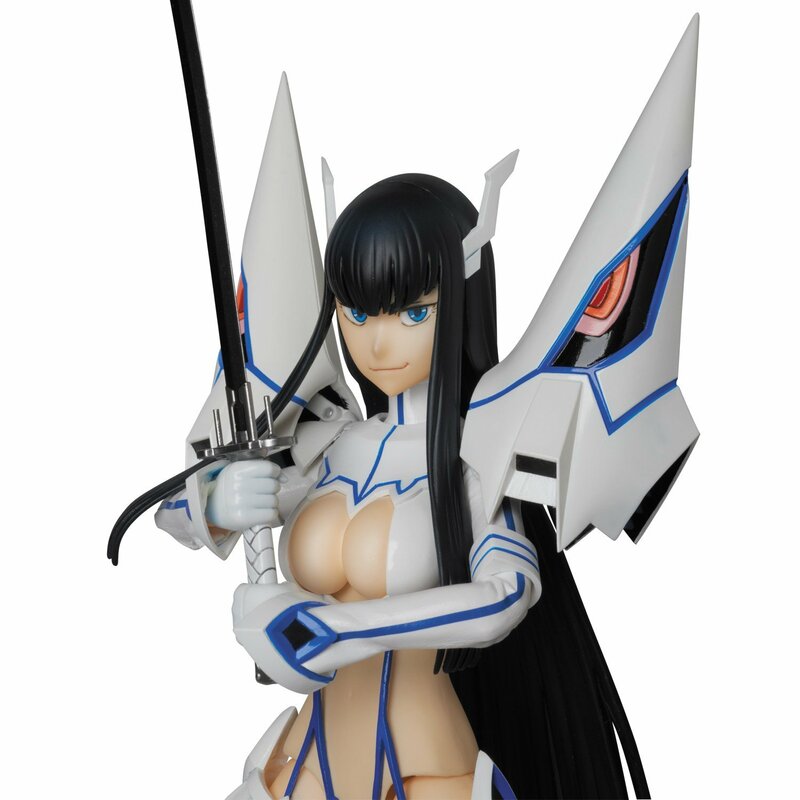 This Satsuki figure is a completely pre-painted PVC and ABS figure with some parts done with real fabric. Real fabric with the combination of the injection parts grants this figure a realistic feeling. With the figure you will get alternate eyes, alternate expressions, her signature sword Bakuzan and the articulated stand. 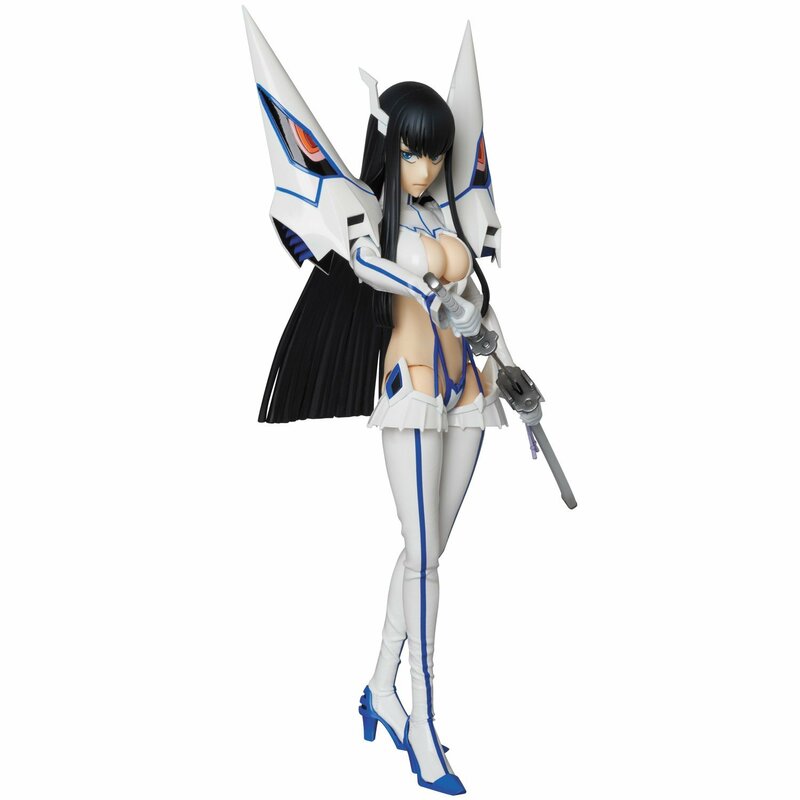 The figure is based on a RAH body which makes it highly posable.